Deana and I have just finished a short vacation to her ancestoral home very near Gaspe, Quebec. In the local national park, Forillon, we saw a couple of dozen Salt Marsh Coppers (about 31 mm in width, or is that length?) 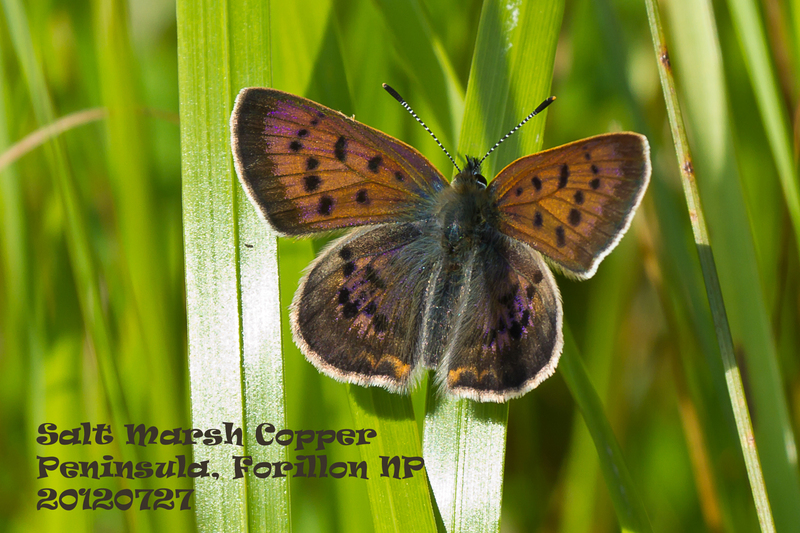 This species is endemic to the Maritimes and the Gaspe coast and has recently been distinguished from a similar species, the Dorcas Copper. See attached. There are Maritime Ringlets in this area as well, quite recently confirmed, but we have been unable to see any.